The undocumented immigrants working for Donald Trump’s New Jersey golf course are fed up with the President’s abuse and insults, according to one woman who works for his club, the New York Times reports. 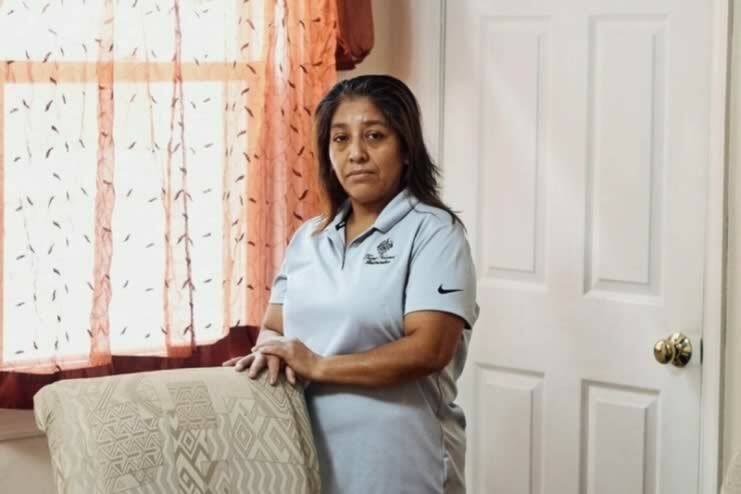 Victorina Morales has been a housekeeper at the Trump National Golf Club in Bedminster, N.J., for more than five years. She’s cleaned Trump’s toilet. She’s made Trump’s bed. She’s dusted his crystal golf trophies. She has worked for him while he’s been President. Think about it. This was a person, an undocumented immigrant, who had Access. That’s a hot word in D.C. Access. Access to the President of the United States. And who wants to bet that President Trump knew he had undocumented workers at Trump properties? Trump’s people deny they knew. I doubt that. Right. And those who knowingly hired and humiliated them? Or maybe run for president some day. Are Democrats poised and ready for the battles ahead. If you haven’t yet listened to Jon Favreau’s documentary podcast The Wilderness, it’s time. The content is engaging, fascinating, and inspirational. Most of all, it explores the question, “What is a Democrat?” Who are we? How did we get here, with Donald Trump as President of the United States, a minority voice in Congress, a minority of Democratic governors, so many Republicans elected at the state and local levels? Yet, Democrats far outnumber Republicans in this country. Who are we? Where are we? Why aren’t we voting? What do we stand for? 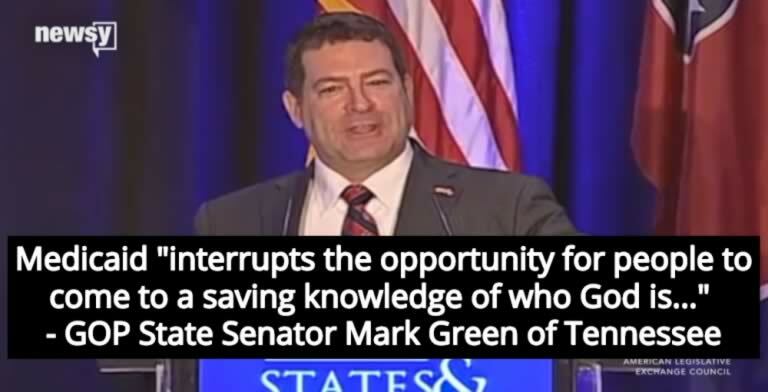 GOP State Senator Mark Green of Tennessee needs a Congress “Come to Jesus” talk. His radical, perverted, and twisted preference is for Tennessee to reject medicaid expansion because health care somehow prevents people from finding God. Poor people, at least. I don’t see Mr. Green volunteering to give up his own medical coverage so he can get closer to Jesus. That’s what he said. And Mr. Green now wants to go to congress. His opponent, Democrat Justin Kanew, shared this video where Green confesses to his death-panel mentality, sharing his desire to deny the people of Tennessee health coverage because the federal expansion of Medicaid would keep people from finding Jesus. NEW VIDEO: My opponent Mark Green explains the radical religious views behind his decision to reject billions of our federal Medicaid expansion dollars – which caused many rural hospitals to close and 300,000 Tennesseans to go without health coverage, including 30,000 veterans. How easy it is for some of those who have to deny those who have not. 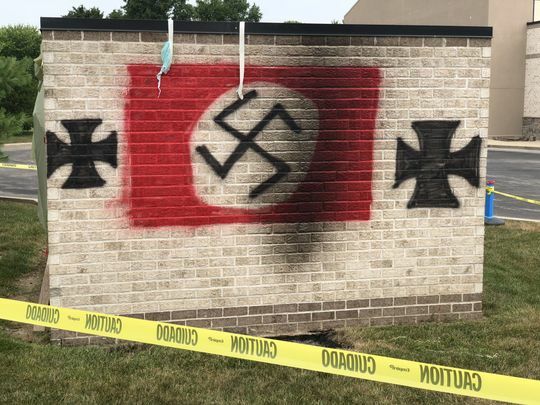 Congregation Shaarey Tefilla in Carmel, Indiana, was targeted by vandals who spray painted a Nazi flag and other symbols on the property. A synagogue outside Indianapolis was vandalized with anti-Semitic graffiti was discovered over the weekend. According to the Indianapolis Jewish Community Relations Council, the vandalism occurred at Congregation Shaarey Tefilla in the 3000 block of West 116th Street in Carmel. The vandalism occurred late Friday or early Saturday and was discovered Saturday morning. The crime scene remained intact and surrounded in yellow police tape Sunday morning. The graffiti, which comprised a pair of Nazi flags and iron crosses, was spray painted on two walls of a brick shed that surrounds the property’s garbage bin. Will Donald Trump tell us there are “good people on both sides” again? Will Sarah Huckabee Sanders tell us, “Look, obviously the president disapproves of vandalism of any kind,” when, in fact, nothing is obvious about this president at all? Except that he never comes right out and condemns Nazis. Except that he “dog whistles” to the racists all the time. Except that we honestly don’t know where he stands on race and racism, except that we do. We know exactly where Donald J. Trump stands on racism. He tells us every time a brown child is separated from her parents, stripped from her parents, as they come to America seeking asylum. Donald Trump has told us repeatedly where he stands on racism. He stands with Fox News. He stands with Steve Bannon. He stands as one of the leaders of the Alt-Right in America. Claiming the “animals” comment is just about MS-13 is a semantic trick – don’t buy it. Trump’s policies put immigrants in the crosshairs; he is increasing deportations of deeply-rooted, hardworking people away from their homes, families, and communities. 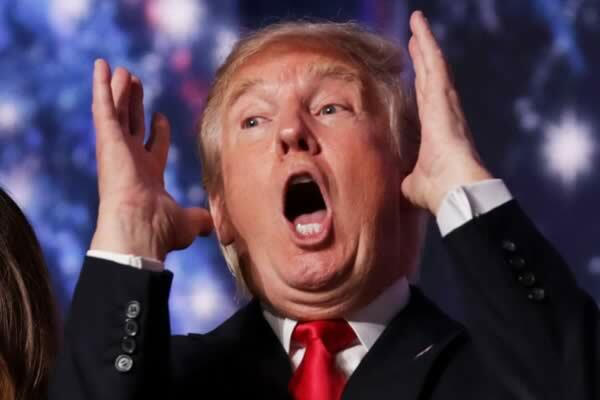 While claiming to protect us from dangerous gangsters, he makes it US policy to rip children from the arms of their parents in order to criminalize migrants and asylum seekers and break families apart through massive deportations. Americans should see through this ploy and reject the inhumane policies that Trump’s rhetoric serves. We should see through all of his ploys. He is a dangerous, dangerous man. I don’t know if there’s anything so under-reported and so heart-wrenching right now as the fear of Donald Trump among the elderly. 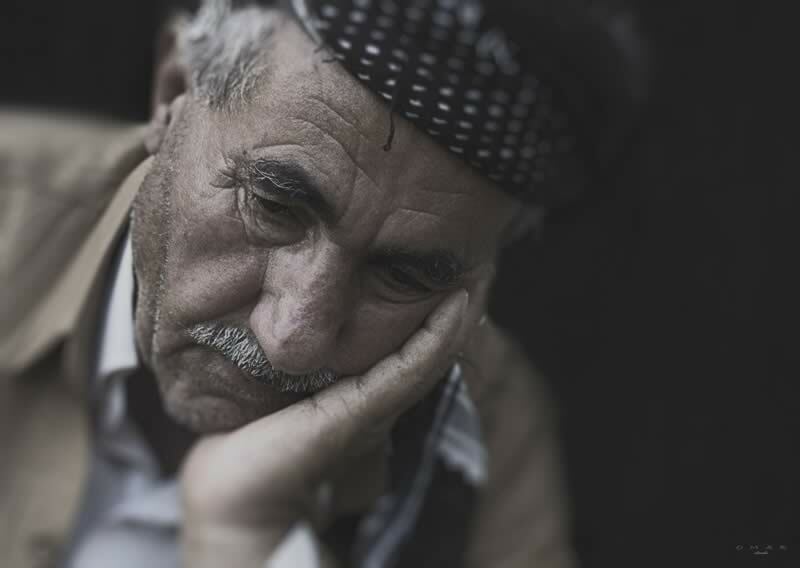 There is a grave terror, almost, of what Trump and the Trump Administration might do to the safety net supporting the vast majority of our senior Americans. This is across the board, although some are more fearful than others, depending on race, ethnicity, gender, sexual orientation, veterans, those with physical or mental disabilities — no one seems to consider herself or himself safe. Had a conversation yesterday with a retired couple. They’re white, middle class, now living on a fixed income. But their fear is palpable. The rumblings among the GOP in Congress to gut or privatize Social Security, slash Medicare — these are real concerns for this couple. I’ve heard similar fears expressed by older family members and friends. The revolt would be great and gray. GOP governors have already hacked away at Medicaid, with Maine’s GOP Governor Paul LePage saying earlier this month “he would rather ‘go to jail’ than expand Medicaid programs without a long-term plan for substantial funding.” That’s a nice statement, and, on the surface, it sounds like responsible economics. But what is he doing to secure such sustainable funding? And what is the economic cost of people dying early or young because of lack of access to health care? If we examine news reports, we find some coverage of Social Security, fears of what Paul Ryan might do to Medicare, but this anxiety our longtime residents feel about Donald Trump, is, I believe, under-reported. And I hope some news organizations begin to take a closer look. Donald Trump flaunts his ignorance. In Illinois, state representatives used to say that former-now-disgraced Gov. Rod Blagojevich governed by press conference. He would rarely speak with legislators as people, rarely talk policy. Instead, he would talk about legislators to the press, in the press. Donald Trump governs — if you could call it– that, by insult. His latest, attacking Dems. All Dems, I guess, everywhere. But focusing on Congress this time. First, Trump has a penchant to randomly capitalize words. And only he understands why and what he is trying to emphasize. Democrats in Congress must no longer Obstruct [sic] – vote to fix our terrible Immigration Laws [sic] now. I am watching what is going on from Europe — it would be soooo simple to fix. Judges run the system and illegals and traffickers know how it works. They are just using children! Democrats don’t control Congress. The House voted on two immigration bills in June — neither had majority Republican support. But, hey, why should math bother this President? Why get bogged down with facts when incendiary charges work so much better. Rodolfo Rodriguez, age 92, legal U.S. resident. Welcome to America, Rodolfo Rodriguez. Wait. Mr. Rodriguez is a legal United States resident, 92-years-young. Rodolfo Rodriguez, 92, set out about 8 p.m. on Independence Day on his regular evening walk around his Los Angeles neighborhood, relatives told KTLA. But what happened next was anything but routine. When Rodriguez bumped into a young girl while trying to pass her on the sidewalk near his home, the toddler’s mother shoved him to the ground and beat him in the face with a brick, police told the station. 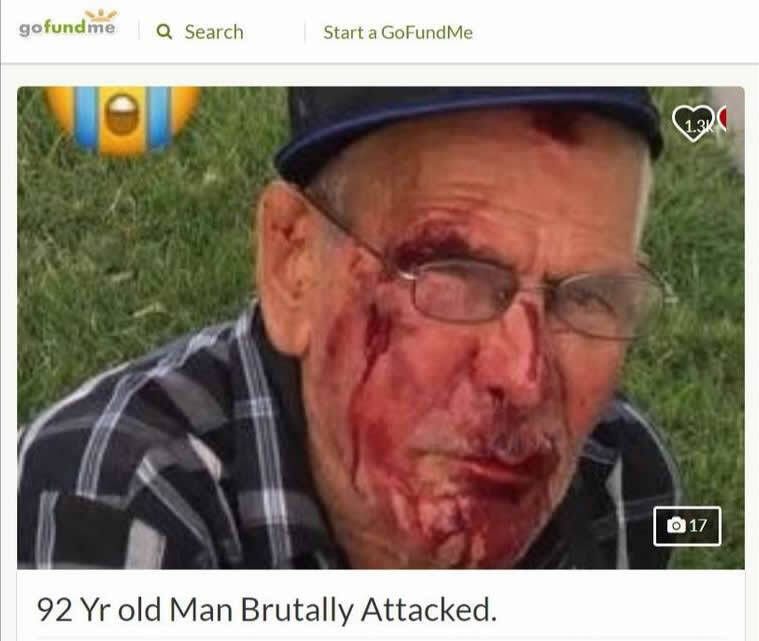 After a passer-by stopped to record the incident on video and call police, four men ran up and began kicking Rodriguez while the child’s mother shouted at him, reported KCBS. “Go back to your country, why are you here, bad things,” the witness said the mother told Rodriguez, who is a legal U.S. resident, according to the station. Why didn’t President Trump apologize for the actions of this White person? President Obama was called on the carpet each and every time a Person of Color allegedly did something inappropriate. The president’s “lawyer” Rudolph W. Giuliani said the special counsel plans to wrap up its investigation of whether President Trump obstructed the Russia inquiry by September 1. Somehow I don’t believe Rudy Guiliani, nor do I believe that Robert Mueller’s primary concern is the midterm elections. Rudy doesn’t pass the smell test, again. How did he come up with the date of September 1? Likely he said it many times during the “negotiations” with Mueller’s team, finally convincing himself that the special counsel’s office agreed to that date. In short, he made it up. The office of the special counsel, Robert S. Mueller III, shared its timeline about two weeks ago amid negotiations over whether Mr. Trump will be questioned by investigators, Mr. Giuliani said in an interview. A spokesman for the special counsel’s office declined to comment. Mr. Giuliani’s comments were an apparent attempt to publicly pressure Mr. Mueller amid their interview negotiations. Most relevant from this report? That’s all we need to know. 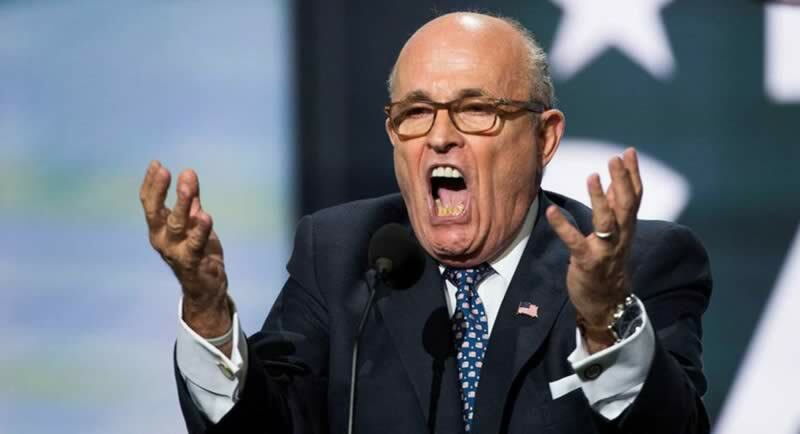 Guiliani runs at the mouth every time he gets before a camera or microphone. No doubt this time he is simply playing parrot to what President Trump would like to be true. Mr. Mueller works in a political void — so it seems to me. Let his work continue until it has reached its natural conclusion, and a real report can be prepared. 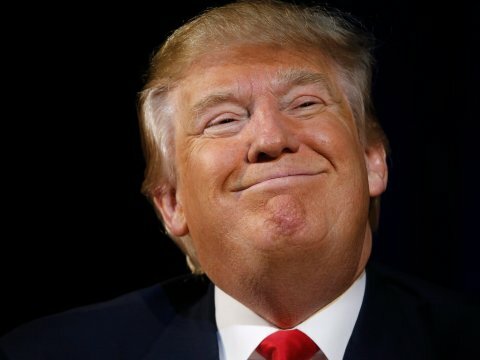 North Korea Is Pulling Out: How Will Trump Trump Obama’s Nobel Now? The talks between North and South Korea have collapsed. The summit between President Trump and Kim Jong-un are collapsing as we write. How will Donnie T. trump President Obama’s Nobel Peace Prize now? It’s all going up in smoke. For a while, I was thinking, “Only Nixon could go to China. Maybe only Trump can go to North Korea.” Except that appears less and less likely as time goes on. Amy Siskind and the Other 98. 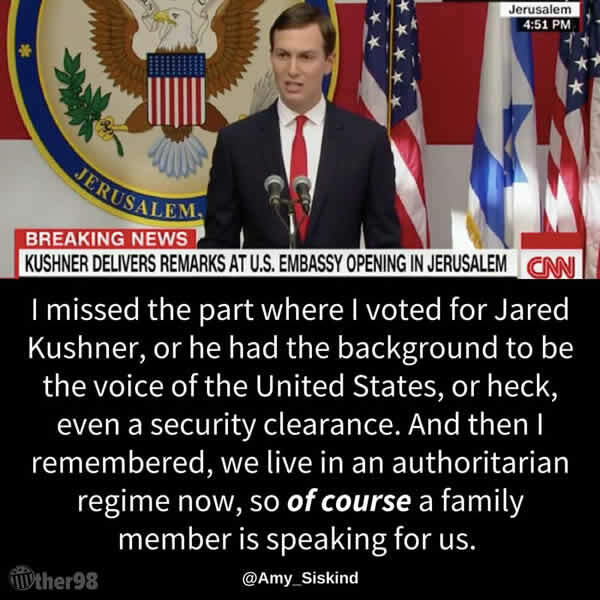 For some reason, Jared Kushner spoke on behalf of the United States today at the opening of the United States Embassy in Jerusalem. Jared Kushner, who was elected to nothing. Jared Kushner, who has no background, training, or education at all to be the voice of the United States. Jared Kushner, who has no security clearance. That Jared Kushner spoke on behalf of the United States today at the opening of the United States Embassy in Jerusalem. And the White House edited a key line from his talk from the official transcript. The White House on Monday released an official transcript of President Donald Trump’s son-in-law Jared Kushner addressing the opening ceremony for the U.S. Embassy in Jerusalem. In the version submitted to reporters, however, the administration neglected to include an important—and controversial—line from the top Trump aide. “As we have seen from the protests of the last month and even today, those provoking violence are part of the problem and not part of the solution,” Kushner said during his remarks in Jerusalem. At least 52 Palestinians were killed on Monday in Gaza by Israeli security forces. Besides the 52 Palestinians killed attempting to enter Israel — Israel fired on them with live ammunition — besides the 52 killed, at least 1,000 Palestinians were injured. No more than 40 miles away. From where Jared Kushner, a man with no background, elected to no office, a man with no security clearance, spoke on behalf of the United States.